The dog days of summer have finally passed, and now we’re embarking on a new season. Aside from the changing leaves and long-awaited arrival of pumpkin spice lattes, fall also ushers in a fresh crop of fashion trends. As pretty as fall’s foliage may be, predicting the weather is easier said than done. Waking up for an 8 a.m. class (and downright chilly temperatures) can be brutal. Naturally, you pile on the layers. Once the afternoon hits, however, the sun is out and you’re left sweating in that chunky pullover that seemed like such a great idea only hours before. So how does one stay warm in the morning and cool during the day? The answer is an open knit sweater – the perfect transitional staple to have in your closet. With see-through stitches and breathable panels, this wardrobe essential will have you prepared for any forecast. Check out the outfit inspiration below so that you won’t be left out in the cold! The great thing about open knit sweaters is that you can dress them up or down. Effortless with jeans, free-spirited when worn with a maxi and sophisticated with skirts, these sweaters run quite the gamut. 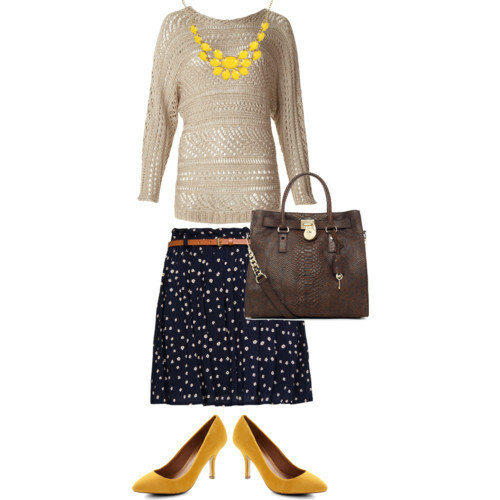 While the days are still warm, take full advantage of pairing your open knit sweater with a skirt (sans tights!) and a great pair of heels. Not only will you make a great first impression everywhere you go, but you’ll also be appropriately dressed for the season. Complete the look with an oversized leather bag that conveniently fits a notebook and all of your classroom essentials. Now, if only you could earn extra credit for your OOTD (outfit of the day, that is!). 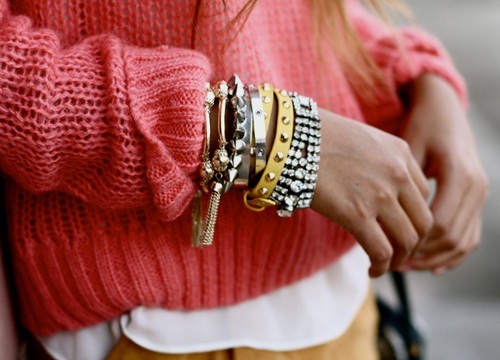 For fashionistas everywhere, the arrival of fall means only one thing: layering, layering and more layering! The easiest way to pack on the layers (without the unnecessary bulk) is to begin with a chunky open knit sweater. Select a sweater in a vivacious color (such as the one above from dELiA*s) to inject some life into your winter wardrobe of neutrals. Avoid making the biggest faux pas of the season (leggings paired with a certain brand of furry boots!) by layering your denim shorts over a chic pair of black tights. Opt for suede ankle boots and a stylish backpack for a look that has too-cool-for-school written all over it! Want a lightweight sweater that you can effortlessly slip over whatever you’re already wearing at a moment’s notice? If so, I have good news! For under $20, you can score this rust-colored crochet sweater that’s practically made for the cooler days ahead. Sweaters that allow for a little peek-a-boo action are the best! Whether you layer this gorgeous teal pullover with a lace cami or vibrantly-colored bandeau, its intricate design allows for a fun little color pop (the outfit possibilities are endless!). Maybe it’s just me, but mustard yellow seems to be popping up everywhere these days! Something about this fall-tastic hue is simply too good to pass up. Welcome in the new season (and show your love for mustard yellow!) by pairing this bohemian-inspired open knit sweater with everything from blue jeans to a tweed mini skirt. Bridge the gap from summer to fall by adding one of these open knit sweaters to your wardrobe today!